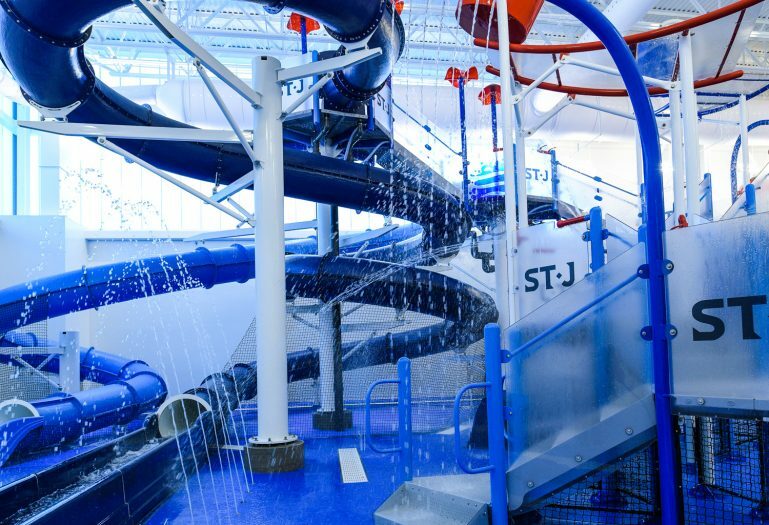 Located in a suburb of Washington, D.C., the St. James Wellness Center will offer residents every amenity all year round including an indoor competition swimming pool and children’s wet play structure complete with water slides. 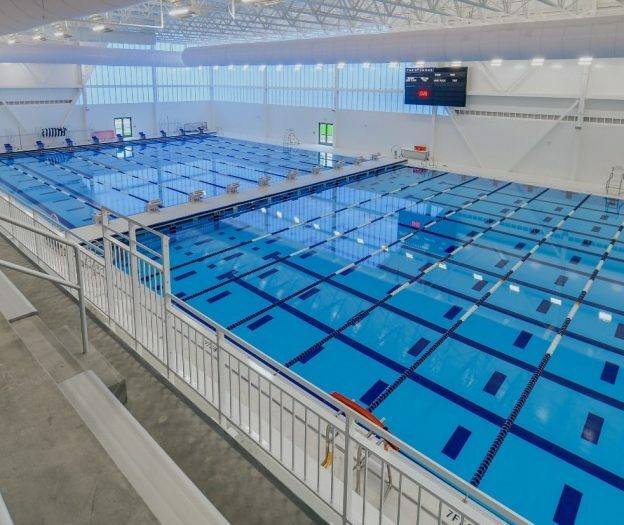 The 10-lane swimming pool stretches 50 meters and also features a bulkhead that allows the space to be divided to support lap swimming and other aquatic activities such as water aerobics or water polo. 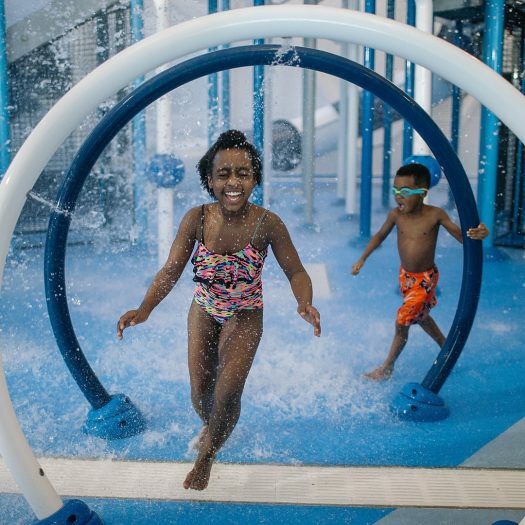 The children’s aquatic area boasts an impressive 32-foot tower with three looping body slides and a large turning wheel at the top that rains down a deluge of water. For toddlers, the mini play structure includes a four-foot double slide and plenty of splashing and spraying elements all within the zero-depth play area. For this project’s community pool, waterslide, and interactive water feature, ADE provided hydraulic, structural, filtration, and chemical system design and engineering services.